Lately, I've found myself looking at knitting patterns again. And I keep seeing images that make me think, I could make that. Like this knitted turban headband on Caylee of If You Seek Style. It's been quite a while since I've knitted, but I think I've got the bug again. I've always loved knitting because it's so relaxing. My mum taught me and lately she's been teaching my little ones, too. I feel like it connects me to a past that is fading. Handicrafts just aren't as prevalent as they once were. Crocheted doilies on Danish finalist's designs. 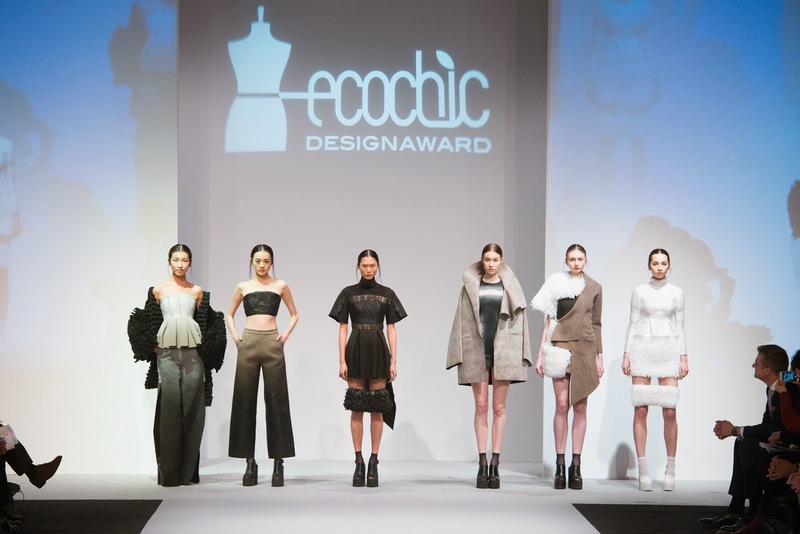 At the Eco Chic Design Award Grand Final last week, a couple of the finalists used knitting techniques to weave together the most unlikely materials. The Danish finalist Kristine Marie Hanson, stitched together old doilies. The winner, Kevin Germanier from the UK, used some knitting techniques to weave together industrial materials. The results for both were amazing. So, I decided that over my Chinese New Year break, I'll make my own DIY knitted turban headband. I found this pattern which looks easy, and it shouldn't take me long. Now I just need to get through the next three weeks so I can get started.